Pendant que votre bateau de croisière est amarré dans le port d’Akaroa, participez à une excursion guidée à terre à Christchurch et à Canterbury, à proximité, en passant par les baies et les criques pittoresques de la péninsule de Banks. Explorez les jardins botaniques de Christchurch et d'autres attractions lors d'une visite guidée de la ville, puis assistez à une démonstration de chiens de berger et à une démonstration de tonte des moutons tout en découvrant la vie rurale dans une authentique ferme ovine néo-zélandaise. Le thé de l'après-midi et le transport aller-retour au port sont inclus. Commencez votre excursion à terre par un pick-up pratique au port de croisière Akaroa, où votre guide expérimenté part pour la ville voisine de Christchurch. Vous suivrez une route panoramique le long de la péninsule de Banks, une région volcanique située sur la côte est de l’île du Sud. À votre arrivée à ‘The Garden City’, découvrez les points forts de la deuxième plus grande ville de Nouvelle-Zélande lors d’une visite guidée. Promenez-vous dans les jardins botaniques de Christchurch; voir le musée et le centre d'art, la rivière Avon et le pont du Souvenir; et en apprendre davantage sur les efforts de rétablissement après le séisme de 2011 qui a détruit une grande partie du centre-ville. Ensuite, partez dans les plaines de Canterbury, en vous rendant à seulement 30 minutes de Christchurch au cœur du pays de l'élevage ovin. 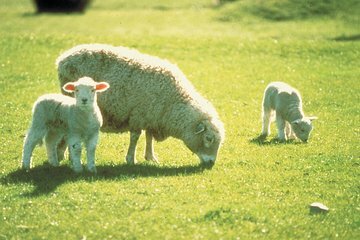 Vous visiterez une ferme ovine en activité située dans un lieu bucolique. Admirez les troupeaux de chiens de berger, puis caressez-les et regardez une démonstration de tonte des moutons. Vous pouvez même vous essayer à la main si vous le souhaitez. Profitez du thé de l'après-midi avant que votre visite de 6 heures ne se termine au port de croisière pour rejoindre votre navire. A good tour overall. Akaroa was a bit farther from Christchurch than expected. But the Akaroa sheep farm experience was not to be missed. The farmer and his wife were so pleasant and inviting. We felt like we could be great friends if we lived there. We much more enjoyed the "country" driving through the beautiful green hills, than the city. The visit to the sheep farm at the very end of this excursion was exceptional. However the rest of the day was on a small bus, with very little space between the seats and we couldn’t understand the bus driver/tour guide at all. Not only was his accent too strong, but the microphone was too low over the noise on the bus. Very disappointed in this tour until the last hour at the sheep farm! The three stars are for the sheep farm part of the tour which was great! Loved Hugh's family and animals and teh whole experience was wonderful. Downside to this tour was it was raining pretty much for the whole time we were in the small bus. The inside was totally fogged up such that we couldn't see anything for the drive to Christchurch. The wet tire noise inside the bus combined with a not-very-adaptable driver meant he pretty much drove silently while we wiped the inside windows to get a peek at the scenery. Commentary by the driver on the way to Christchurch was useless thanks to his flat, boring delivery and a very poor PA system which wasn't loud enough. The quick tour around Christchurch was fascinating. Afterwards, we were dropped in the city for a short comfort break but, sadly, the driver didn't mention that we were right next to the Christchurch museum where there were excellent toilets! Luckily we found the museum and had a bit of time to look around the exhibits which were excellent. The trip back was in a minibus with a different driver. We found his driving style to be reckless and eventually one of our fellow passengers asked him to slow down. The visit to the sheep farm was brilliant - a real highlight as the farmer was really engaging and enthusiastic. The cream tea served by his wife was very good. 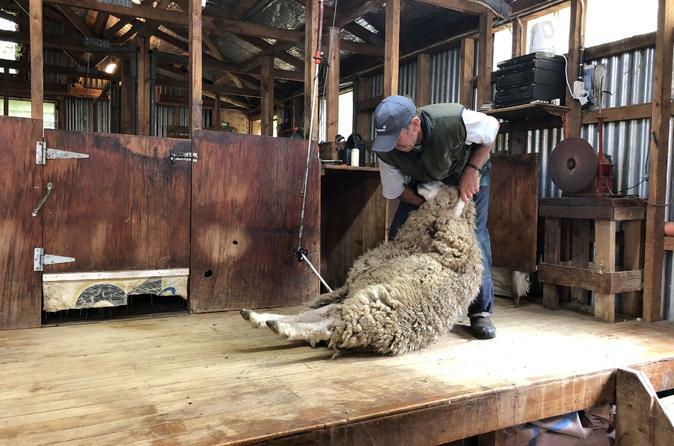 We really enjoyed the sheep farm tour and shearing demonstration, and would highly recommend that part of the excursion. We enjoyed petting the sheep and seeing the sheepdog round them up. The sheep farmer and his wife were very hospitable. Our bus driver also gave us a tour of Banks Peninsula and the city of Christchurch. The history of this area was very interesting, but unfortunately our driver inserted a lot of politics into his commentary promoting socialism, bashing Trump and making fun of Trump supporters. He joked about how he knew he was probably crossing a line by getting into politics, but for some reason he kept it up all the way to the end of the trip. This behavior fell short of my expectations of a professional tour guide. There were a lot of people on his bus from the U.S., so I was disappointed he was not more respectful. Had he kept his opinions to himself, I would have given a 5 star rating to this excursion. We thoroughly enjoyed our trip with our guide. He was very knowledgeable and funny. We got a great overview of Banks Peninsula and a good visit in Christchurch City. The Sheep Farm Tour was good, but we had done one previously and didn't enjoy this one quite as much. Our experience in Akaroa was one of our favorites of our entire trip. First the town itself, and the quaint bistros and coffee shops along the shoreline. Then there was the Woolshed, where we bought two wool sweaters, hoping we wouldn't find them cheaper at future stops. Well, let me tell you, the prices there were the best of any we found anywhere. Don't miss this place if you go. Our driver was amazing and knew the curving hills and valleys like the back of her hand. She gave us an amazing ride to Christ Church and we enjoyed so many sites of this city, and the continuing struggle to repair the earthquake damage. Scotty was excellent! Knew a lot of the background and history of Christchurch. He kept us entertained throughout the excursion. Very informative on earthquake and rebuild of Christchurch. Love the sheep farm visit. Great sheep dog show and wool shearing. We were treated for tea and snakes before going back to ship. city was not that great would like to see more of the city .